Quick Take: Parks and Recreation, "Bus Tour"
Review: Parks and Recreation, "Bus Tour"
(S0421) A sense of manic energy pervades "Bus Tou,r" as our heroes scramble all across Pawnee making last minute pushes to get out the vote for Leslie. However, the episode fails to bring its various sub-plots together so the chaotic energy is diffused more than it could be. Aboard the S.S. Knope, the campaign's tricked out tour bus, Leslie (Amy Poehler) and Ben (Adam Scott) crisscross Pawnee for a series of stump speeches. The speeches are going swimmingly and the campaign is running like a well-oiled machine, until the death of Bobby Newport's (Paul Rudd) father throws Team Knope a curve ball. The citizens of Pawnee were okay with attacks on the town's patriarch while he was alive, but God forbid Leslie speaks ill of the dead. In a calculated political maneuver, Leslie and Ben take a break from campaigning and make a stop at the Newport compound to give their condolences and apologize to Bobby for taking shots at his newly-deceased father. But, like so many times before, Jennifer (Kathryn Hanh) is a couple of moves ahead of them. The S.S. Knope pulls into the gates of the Newport palace and finds itself smack dab in the middle of a memorial service orchestrated to make Leslie look like an insensitive politician cashing in on a family tragedy. That is, of course, precisely what Leslie is doing -- she just didn't expect to be called out for it. 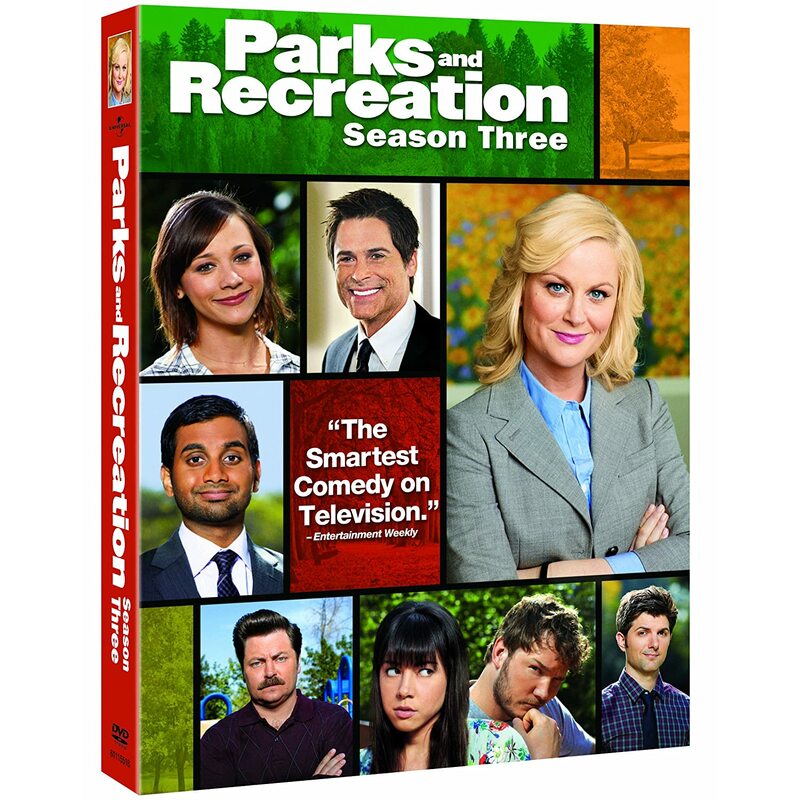 Ron (Nick Offerman), Donna (Retta), and Tom (Aziz Ansari) are side-lined for most of the episode, stuck dealing with an extremely unpleasant van rental employee. Bill (played by a very gaunt Mike O'Malley), the owner of the van rental company refuses to honor Leslie's contract because the Newport campaign has offered him more than ten times as much money to keep the van's away from the Knope campaign. It's a silly little plot -- designed to emphasize how sleazy the Newport people can be -- without much of a pay-off. Thankfully, Andy (Chris Pratt) is there once again to save the day. 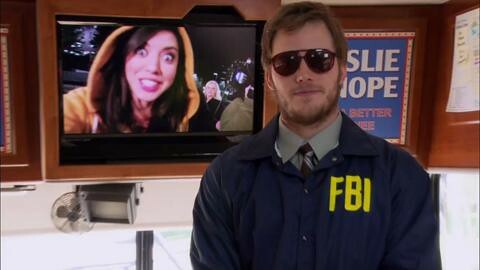 Andy reprises his classic Burt Macklin role, providing security for Leslie and investigating a mysterious pie-in-the-face incident. A couple of highlights from the Burt Macklin investigation: Andy constructs an evidence board with just two pictures -- Leslie's face and a pie -- tacked to it. Eat your heart out Lester Freamon! Burt's code names are classic. Anne (Rashida Jones) is "Been There Done That", April is "Currently Doing That", Donna is "Happened Once In a Dream", Chris is "If I Had To Pick A Guy", and Leslie is "I'd Be Lying If I Said I Hadn't Thought About It." I'm going to have to think about this a little more, but over the past two weeks Andy might have taken Ron's place as my favorite character on the show. He is on fire.